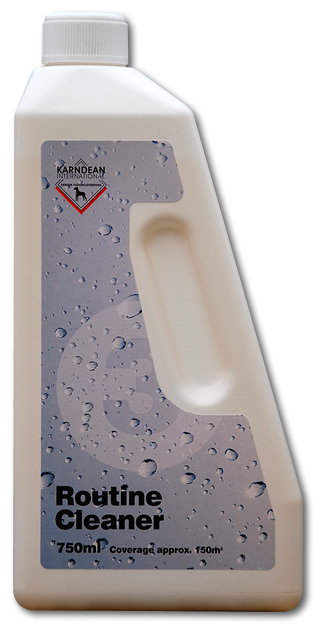 Karndean Routine Cleaner is designed for the regular cleaning of Karndean flooring. 2. Keeping the mop wet, mop routine cleaner solution onto the floor. Wring out mop, mop off and leave to dry. These general cleaning instructions are intended for guidance only. For specific guidelines please follow the instructions on your cleaning products.